Snowdon is not only the highest peak in Snowdonia but it’s the grandest and most dominate. Snowdon occupies a vast area between Beddgelert, Pen-y-Pass and Llanberis and is one of the three main mountain groups in Snowdonia. Snowdon is a ‘Massif’, a group or range of mountains, with Snowdon being the highest point at 1085m. 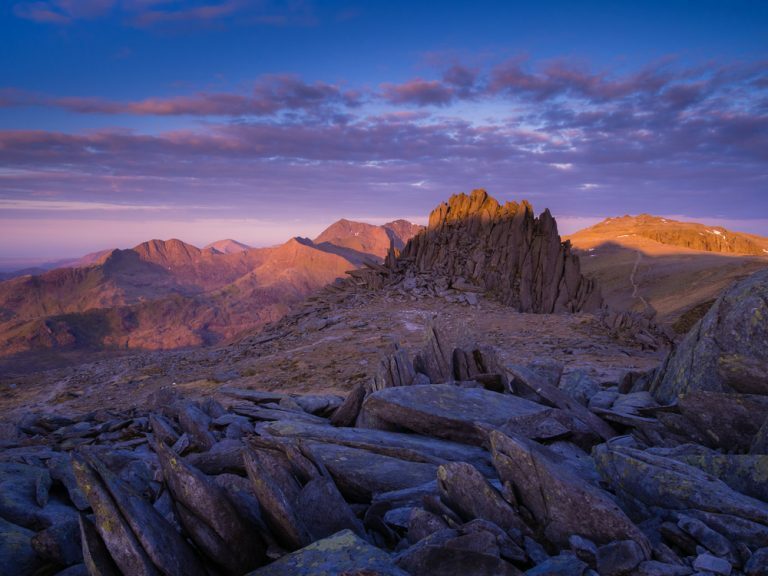 The range is made up of 7 other peaks including Yr Aran, Moel Eilio and the iconic Crib Goch. There are numerous views to be enjoyed of Snowdon from many different vantage points. 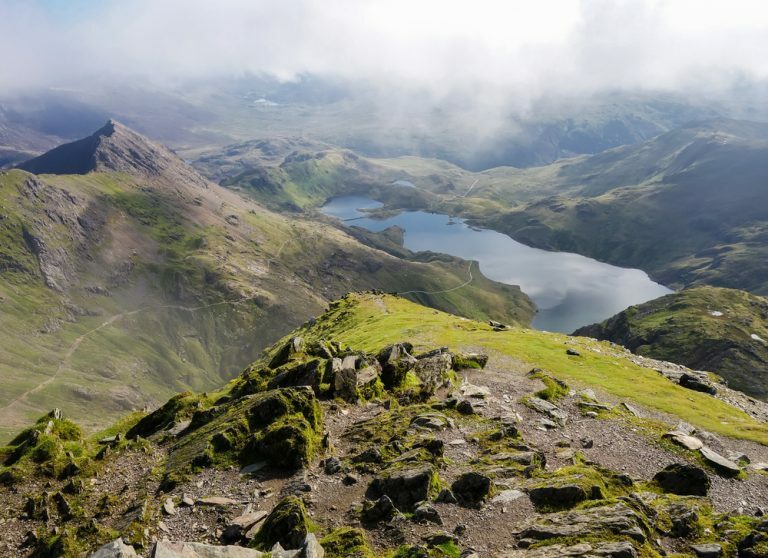 Below are five of the best views of Snowdon and we hope they inspire you to seek out some of the beautiful views on this magnificent mountain. The view which greets all adventures on their way to climb Snowdon travelling along the A4086 from Capel Curig. 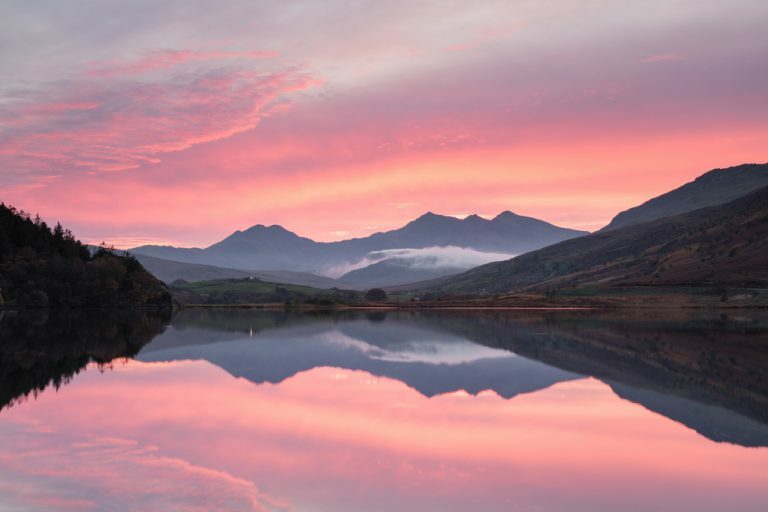 This classic view of the Snowdon Horseshoe from the shores of Llynnau Mymbyr is one of the most photographed views in Snowdonia…and you can see why! Llynnau Mymbyr is actually one lakes located in Dyffryn Mymbyr which runs between Capel Curig and Pen-y-Gwryd. A delta was built midway across the lake cutting the lake in two which is why it has a plural name. There are several parking areas along the north shore for you to park your car and grab yourself a classic photo of Snowdon. This isn’t just a great view though. This is where the adventure begins. For most people traveling towards Pen-y-Pass or Llanberis to climb Snowdon this is the first time they see the mountain and the excitement soon begins. This is Snowdon at its very best. The view we all want, and rarely get! If you are lucky enough to have the weather on your side then you get to witness a truly breathtaking view from the top of Snowdon. The classic view is down in to Cwm Dyli where the lakes of Glaslyn and Llydaw take centre stage with the Pyg Track and Miners Track to the left. However, you are also looking at the ridges and summits of Crib Goch, Crib-y-Ddysgl and Y Lliwedd which make up the iconic Snowdon Horseshoe. Arguably the greatest scrambling route in Snowdonia and a route we use many times on our scrambling course. Crib Goch is an arête (a knife-edged ridge) which leads up from the Pyg Track as part of the Snowdon Horseshoe. This is a classic Grade 1 scramble and the most iconic scrambling ridge in Snowdonia. The view from the 923m summit across the ridge and over to Snowdon is one of the most photographed on Snowdon and in Snowdonia. Few dare tackle this iconic ridge and those who do should treat it with respect. 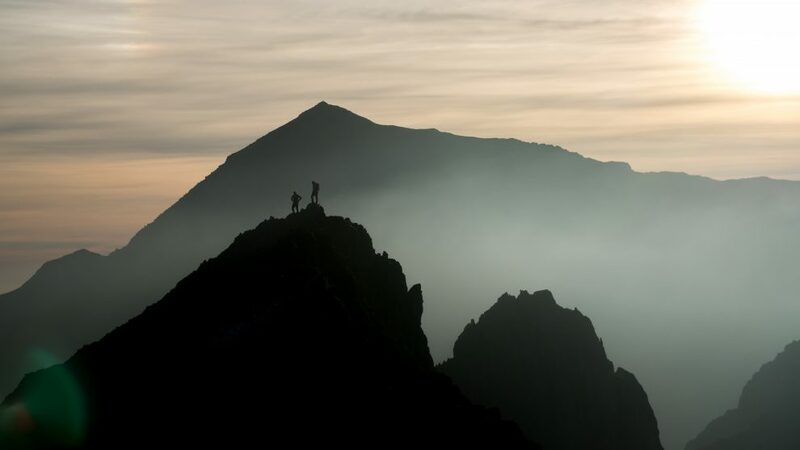 Crib Goch is a black spot and the scene of numerous mountain rescue emergencies each year. With the right experience, knowledge and preparation there are not many better routes in Wales and England. 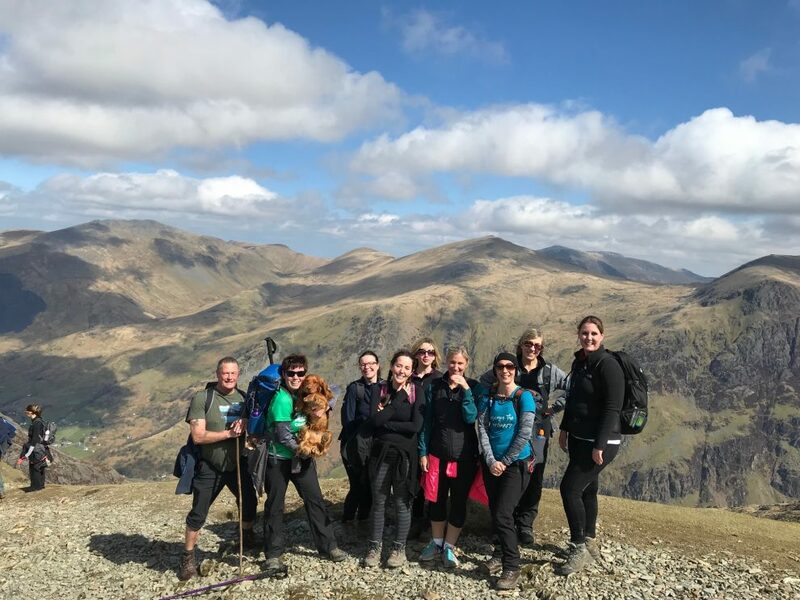 If you fancy tackling Crib Goch or the Snowdon Horseshoe then we often do it as part of our Discover Scrambling course in Snowdonia. The views across to Snowdon from the Glyderau are hard to beat. The rocky, moonscape, landscape of the Glyderau is a fantastic place to explore, but with Snowdon as the backdrop then it really is a majestic place to visit. The classic route from Ogwen takes in the summits of Glyder Fawr and Glyder Fach and for those who like to scramble then fun is to be had on Castell y Gwynt. 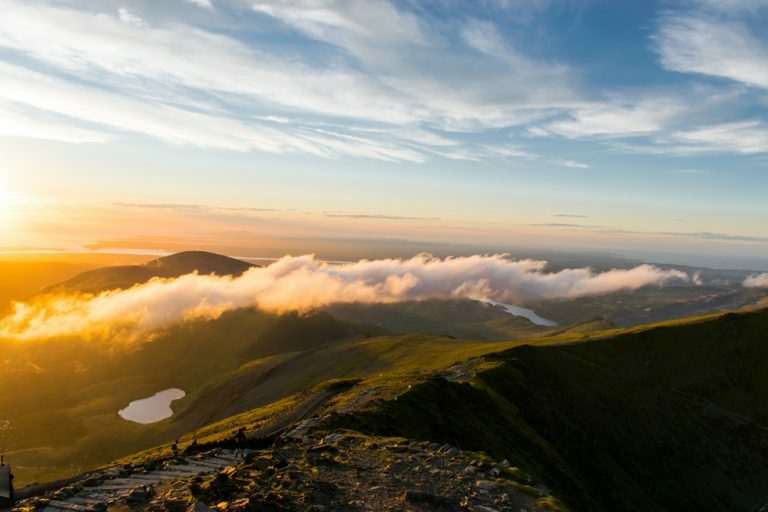 Experiencing a Snowdon sunset (or sunrise) is a must-do for all hillwalkers. The views back towards Llanberis are fantastic during the evening golden hour but even more impressive towards Moel Siabod at sunrise. However, the best thing about being out at a less sociable hour is that you often have the summit to yourself! How rare is that for Snowdon! 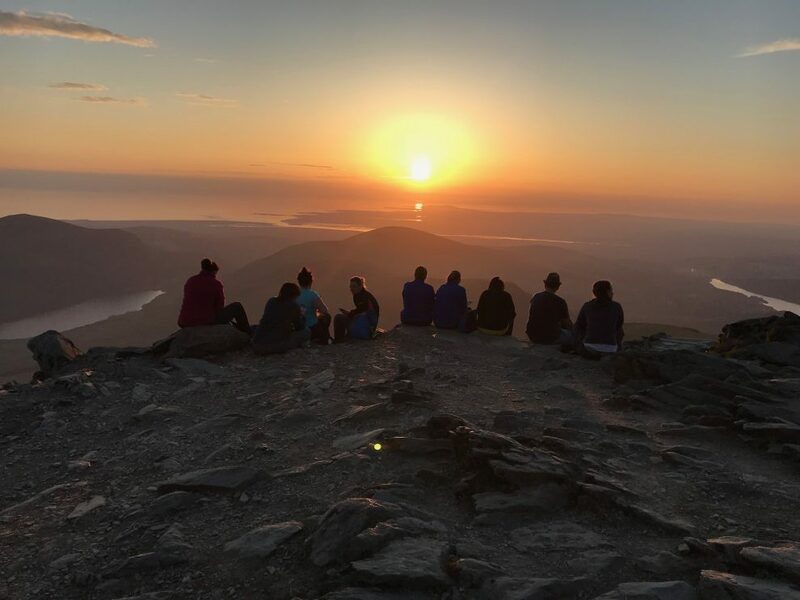 If you want to experience Snowdon at its very best then head up the mountain for a sunset (or sunrise) experience. You won’t regret it. Check out our Snowdon Moonlight guided walks. Note: Climbing Snowdon, or any mountain, does require you to be properly equipped and have the relevant experience. Always go suitable dressed in the correct clothing suited to the terrain and carry any food, water and extra gear as needed. Always carry a map and compass, a full route description, and ensure you have the skills to use them. 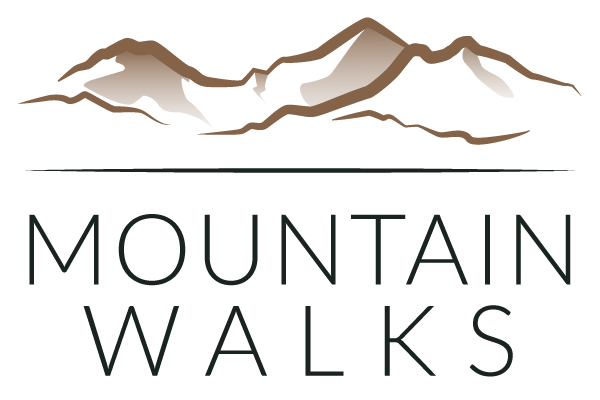 If you are new to hillwalking then have a look at our Snowdon Guided Walk. If you are new to hillwalking then take a look at our Hillwalking Workshop and our Navigation course. These courses will give you the skills and confidence to explore the mountains safely and competently. 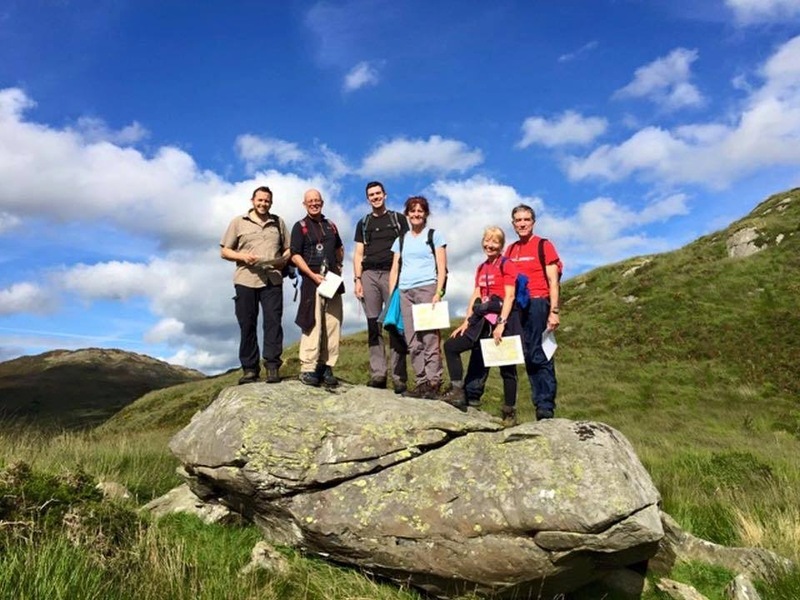 For more experience hillwalkers then take a look at the Mountain Skills course.